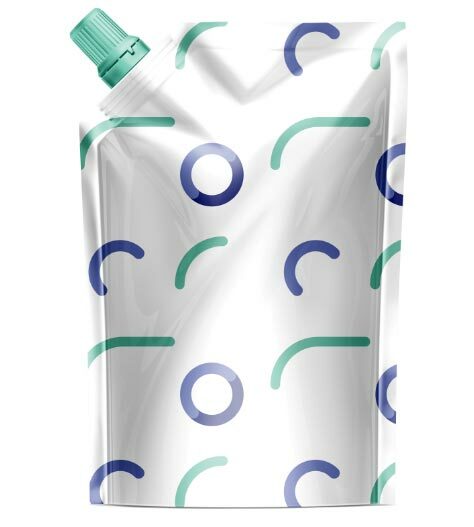 DOY-PACK packaging is used as an alternative to traditional bottles, thanks to which several times less plastic is used to transport and distribute the same amount of liquid. The laminate dedicated to packing liquid soap or washing-up liquid. It has a special construction that ensures the stability of the packaging on the store shelf and many possibilities to make the packaging more attractive by using an external material with a high gloss, matte, or covered with matte varnish selectively. Depending on the needs of our customers, we have the opportunity to prepare a product with an extraordinary visual value, which is crucial from the point of view of promoting the soap. At the same time, our packaging will ensure the product’s safety due to the high resistance to mechanical damage.